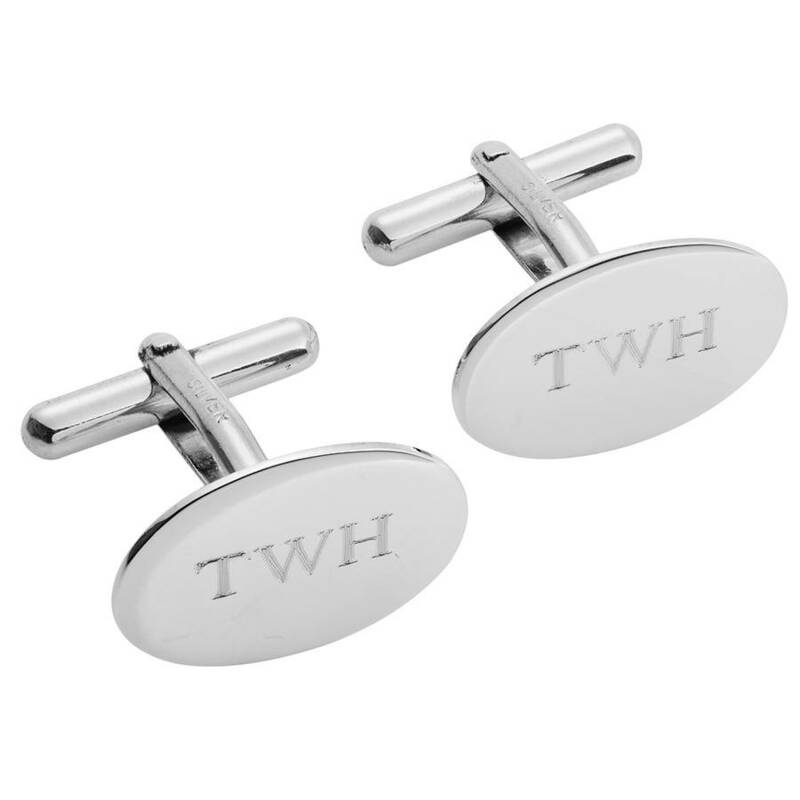 These lovely engraved sterling silver cufflinks are made from solid hallmarked silver. They are fantastic value cufflinks and hand made in the UK. 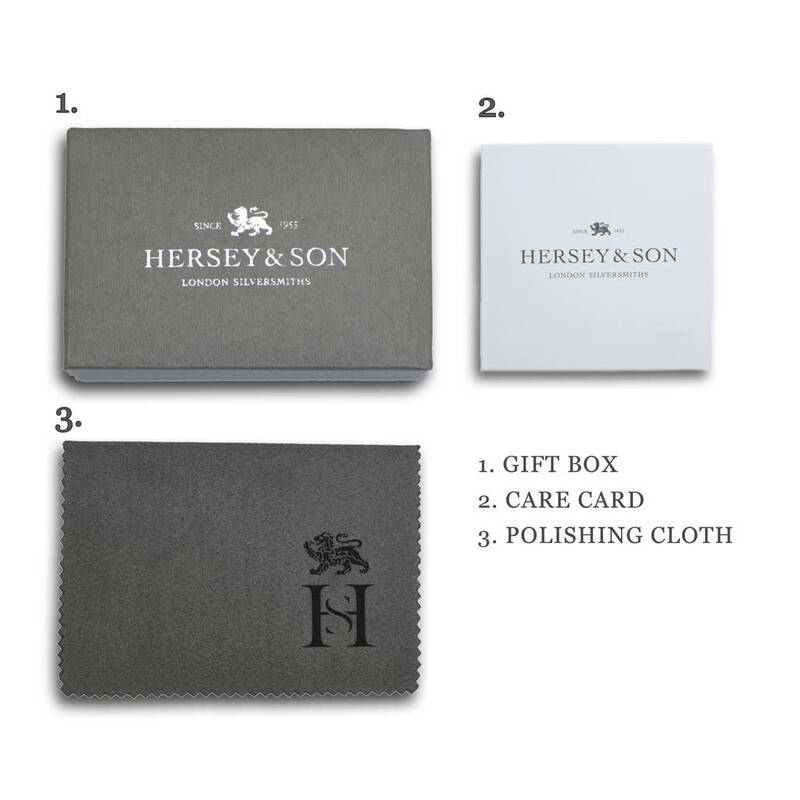 They make a great present for the gentleman who appreciates understated elegance, or Christening gift for the younger gent, and are delivered in a smart Hersey & Son cufflink box with a care card and a free silver cleaning cloth. 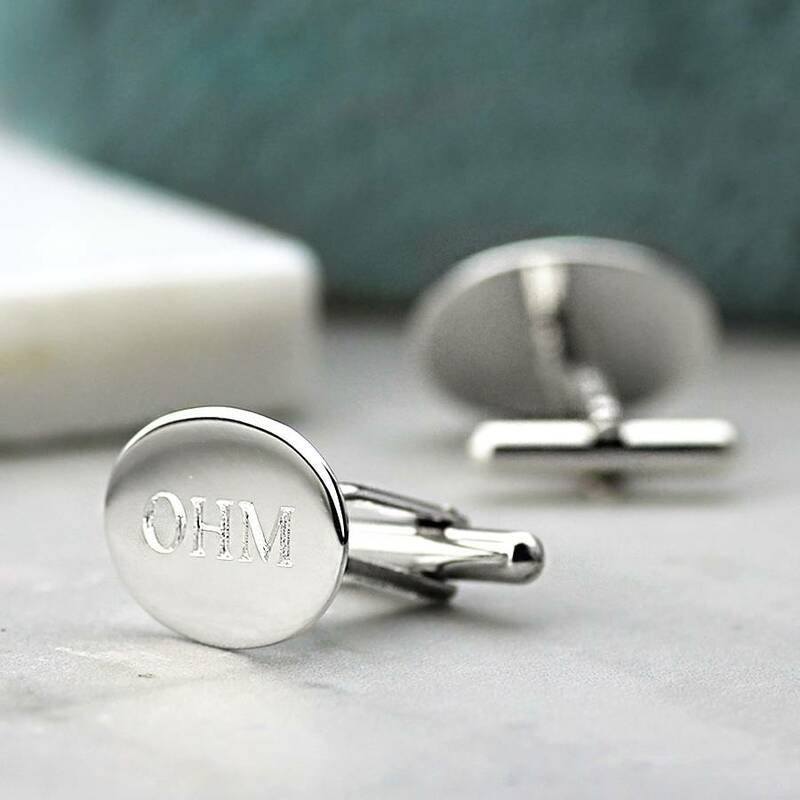 We can engrave these with up to 4 initials on each cufflink and we use high quality diamond tip engraving for this, the cost for engraving is £10. 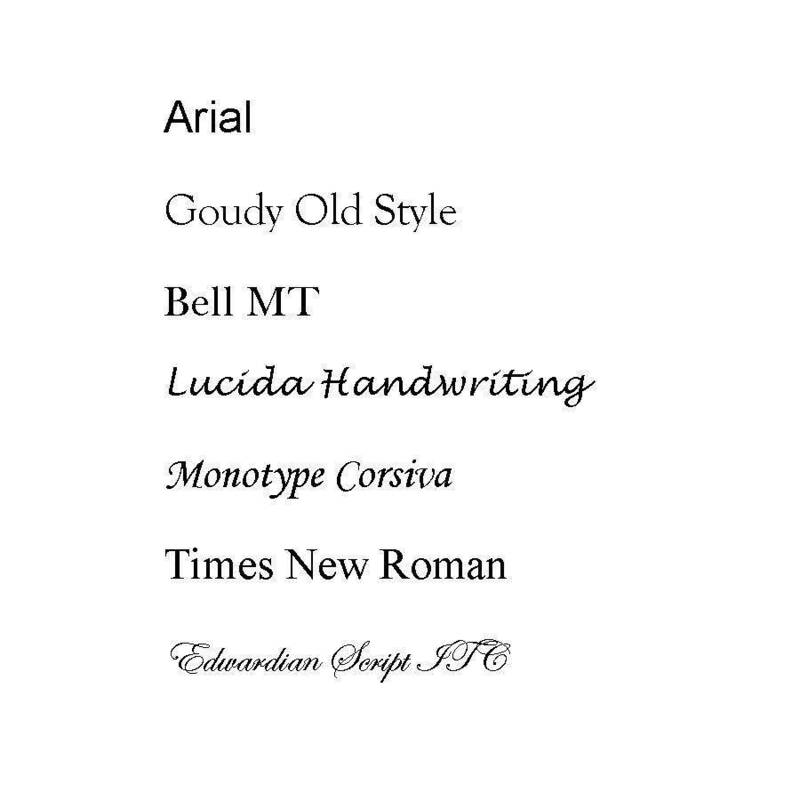 Our preferred font choice is Bell MT, shown in the image, there are also other font choices available, please choose in the menu. 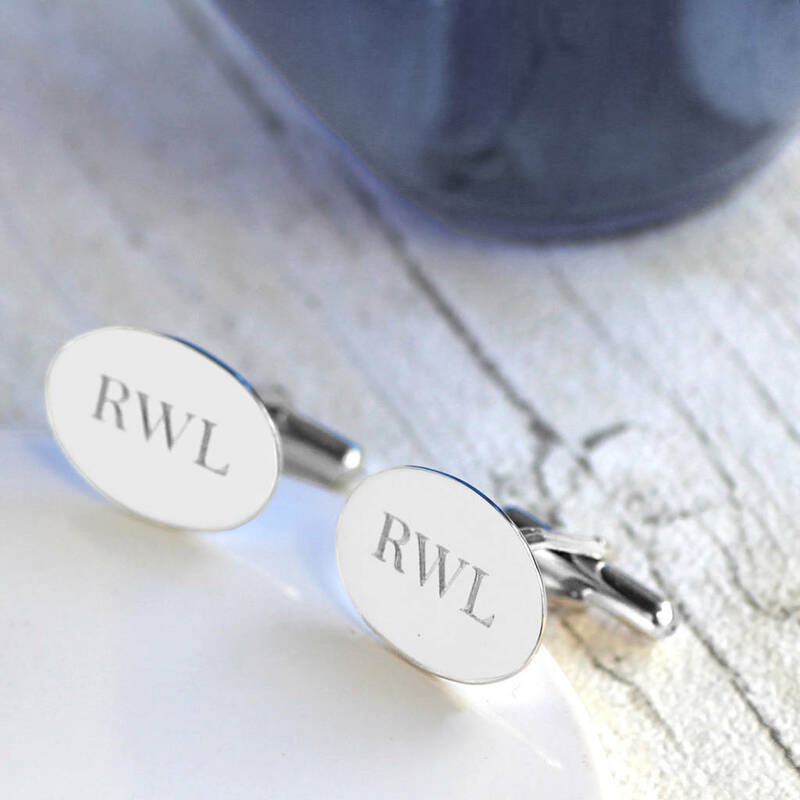 We do not offer a script font on these cufflinks. 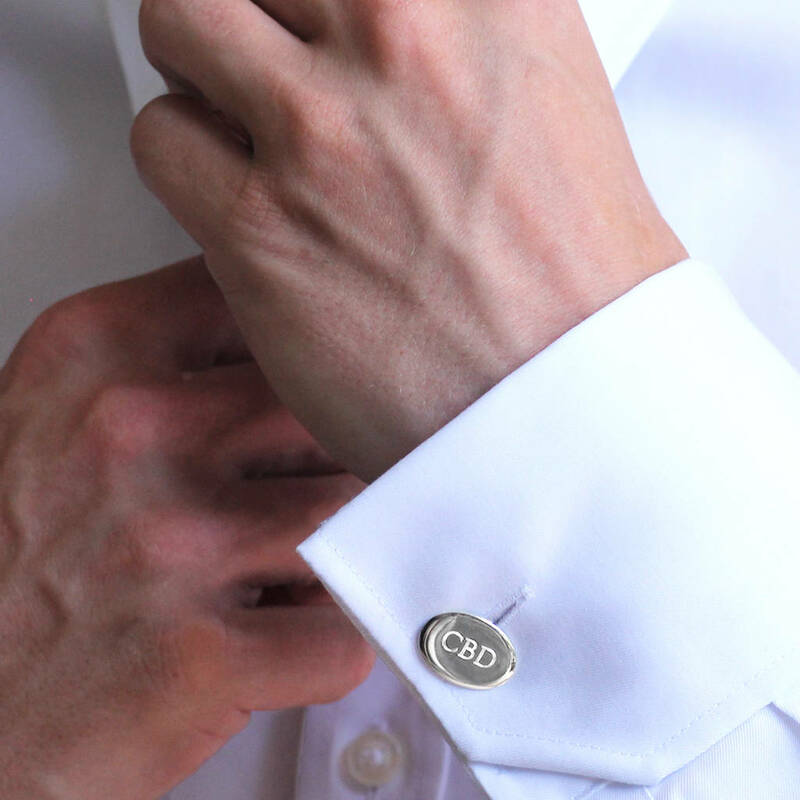 Solid silver and hallmarked on the torpedo hinge fitting. 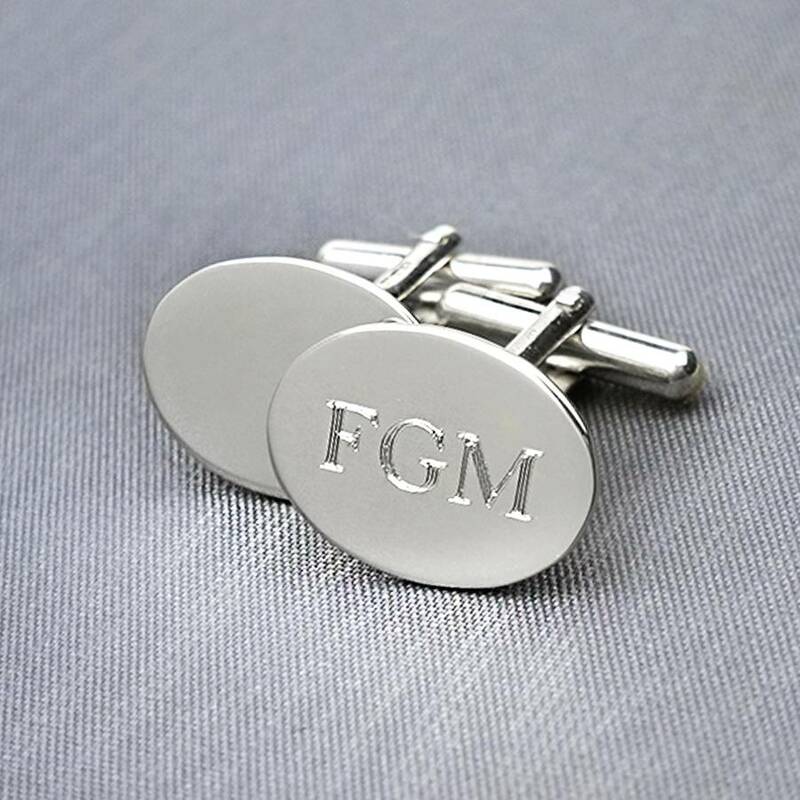 Size Oval: 18mm x 13mm face.